With summer vacations, outdoor picnics, baseball games, and just spending every minute outside you can't help but notice the bright shining sun. The one thing that should be important to everyone is sun care. You only have one skin so you should take extremely good care of it and wear sun screen or make your own shade for your face by wearing hats. With my upcoming beach vacation I got to thinking that I need a sun hat to wear at the beach. I didn't want a boring neutral colored hat, I need something that was a bright and cheerful as the sun! 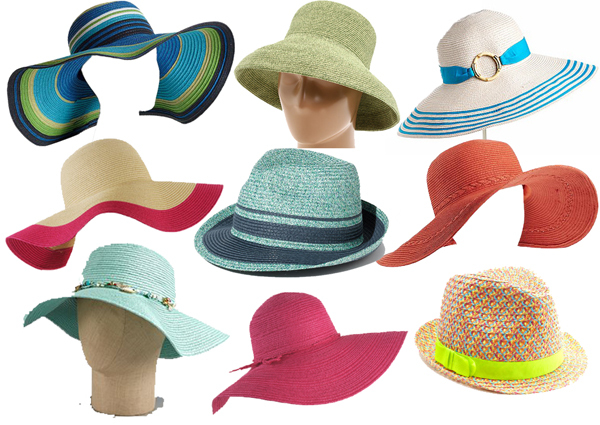 Here's my list of bright colored sun hats all under $40. What had would you want to make your own shade with?